. When she forces him aboard the Queen Anne's Revenge, the ship of the formidable pirate Blackbeard (McShane), Jack finds himself on an unexpected adventure in which he doesn't know who to fear more: Blackbeard or the woman from his past.Director & Cast for Pirates of the Caribbean: On Stranger Tides (2011)Rob Marshall[Director] IMDBJohnny Depp[Jack Sparrow] IMDBPenelope Cruz[Angelica Teach] IMDBIan McShane[Blackbeard] IMDBGeoffrey Rush[Barbossa] IMDBFile List for Pirates of the Caribbean: On Stranger Tides (2011)Pirates.of.the.Caribbean.On.Stranger.Tides.2011.720p.BrRip.x264.Deceit.YIFY.mp4[900.00M]Pirates.of.the.Caribbean.On.Stranger.Tides.2011.720p.BrRip.x264.Deceit.YIFY.srt[0.00K]www.yify-torrent.org.jpg[0.00K]Tracker List for Pirates of the Caribbean: On Stranger Tides (2011)udp://tracker.openbittorrent.com:80/announceudp://tracker.istole.it:80/announceudp://tracker.publicbt.com:80/announce. 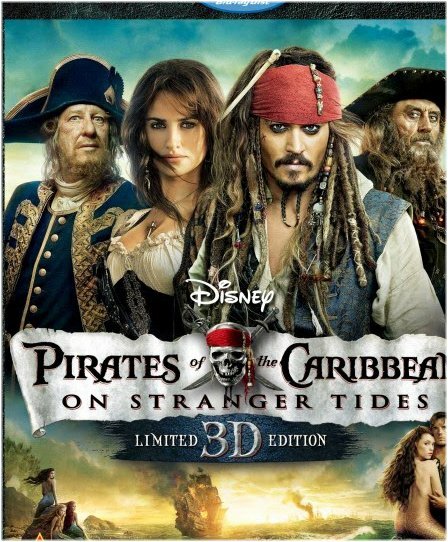 Screenshots The Plot Summary for Pirates of the Caribbean: On Stranger Tides (2011) 3DCaptain Jack Sparrow (Depp) crosses paths with a woman from his past (Cruz), and he's not sure if it's love -- or if she's a ruthless con artist who's using him to find the fabled Fountain of Youth. Pirates of the Caribbean: On Stranger Tides (2011) mp4Genre: Action Adventure Resolution: 1280*528 Size: 900.36M Quality: 720p Frame Rate: 23.976 Language: English Run Time: 136 IMDB Rating: 6.6/10 MPR: PG13 Peers/Seeds: 39 / 179LikeIt! 26Watch TailerDownload MagnetDownload Torrent.